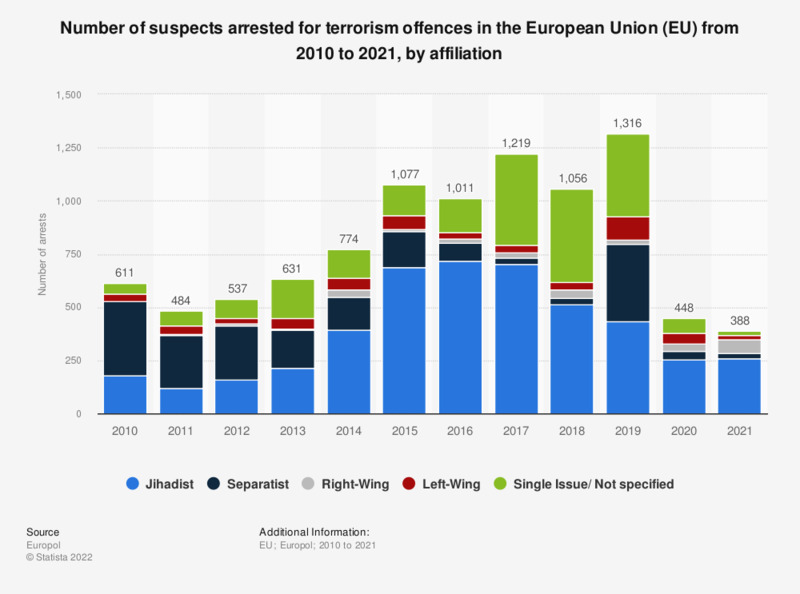 This statistic displays the number of suspects arrested for religiously inspired or jihadist terrorism in the European Union (EU) from 2012 to 2017. The number of such arrests has increased since 2012, peaking at 718 in 2016. In 2017, the most recent year in this statistic, there were 705 arrests relating to jihadist terrorism.